Altering decades of practice in immigration court and placing immense pressure on an overburdened immigration court system, Attorney General Jeff Sessions issued a decision in an immigration case on Thursday declaring immigration judges do not have general authority to administratively close cases. The decision applies nationwide—though we can expect it will be challenged in the federal courts in individual cases. Administrative closure has long been an uncontroversial management tool used by immigration judges to manage their caseload. It allows a judge to temporarily take a case off the court docket, usually to allow for completion of related proceedings that will impact the outcome of the individual’s removal proceeding. Sessions’ decision largely eliminates this vital tool. Judges now will be forced to keep long-pending cases on their active dockets, contributing to the already massive backlog of immigration cases. In his lengthy decision, Sessions concluded that judges lack legal authority to grant administrative closure. But he pays short shrift to the legal authority that does not support his view. As amicus (friend of the court) briefs submitted in the case pointed out, the Board of Immigration Appeals repeatedly has declared that administrative closure stems from immigration judges’ inherent authority to conduct proceedings and take actions necessary to decide a case. No federal court has questioned immigration judges’ authority to grant administrative closure. Not only is Sessions misinterpreting the law, he is creating terrible policy. The National Association of Immigration Judges urged Sessions not to end administrative closure, arguing that its termination could “overwhelm the system” and “waste precious hearing time.” A 2017 report commissioned by the immigration court system concluded morecases should be administratively closed in order to reduce the courts’ backlogs. Others argue that ending administrative closure will harm vulnerable populations, including children and individuals of limited competency. Many of these individuals need to pause their proceedings to allow other federal and state entities to make determinations that would prevent their deportations. Furthermore, Sessions’ move to insert himself in this case is particularly alarming given his anti-immigrant bias. As immigrant rights groups explained in the case, Sessions’ long history of anti-immigrant rhetoric prevents him from being an impartial adjudicator. The groups called for his recusal from this decision-making process. 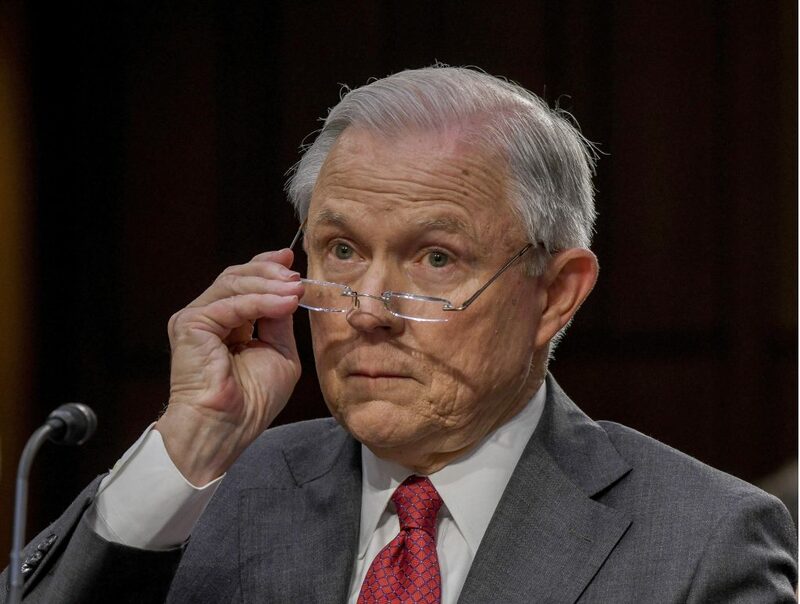 In the decision, Sessions determined that administrative closure “encumbered the fair and efficient administration of immigration cases.” Yet, his decision will result in the very widespread unfairness and inefficiency he claims to oppose, restricting the authority of immigration judges to control their dockets and punishing immigrants who need additional time to obtain the results of other federal and state agency proceedings to qualify for immigration relief. And we should be wary of the ways he downplays the impact of this decision. He notes, for example, that judges who need to extend cases may grant “continuances” instead of administratively closing cases while simultaneously neglecting to mention that he is weighing in on another immigration case that may greatly reduce the availability of continuances. Though Sessions ended administrative closure for future cases, regulations still permit the practice in a limited number of cases. As for the 350,000 cases currently administratively closed, those cases will gradually make their way back onto court dockets in the coming weeks and months through motions by the government. The fact remains that this is a devastating decision for those who want to preserve due process in immigration courts. Sessions has not only restricted the authority of immigration judges, but he also has found another way to make immigrants increasingly vulnerable in a system that is already stacked against them. This article was originally published by the American Immigration Council and written by Aaron Reichlin-Melnick. Click here for the original article.